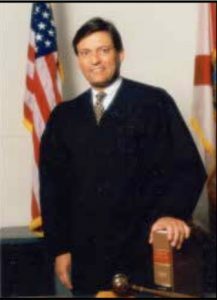 Justice Jorge Labarga has been on the Florida Supreme Court since 2009. He was profiled in The Record in the Summer 2009 edition. Michael C. Greenberg spoke with Justice Labarga to get his quick thoughts on life a few years into his term on the Florida Supreme Court. Married to Zulma Labarga for 32 years. Two daughters, Stephanie (age 26) and Caroline (age 23). Someone in your life that influenced you? “Thirteen Days” with Kevin Costner and “The Natural” with Robert Redford. Last book read or now reading? The Oath by Jeffrey Toobin. Something that people do not know about you? The birth of my two children. Goal you would like to achieve? To be remembered as a good son, good father, and good husband, and to be regarded as a good public servant. The achievement of which you are most proud? My appointment to the Florida Supreme Court. Least favorite law school memory? What you would tell someone thinking about entering the legal profession? Lawyers, regardless of their specialty and political persuasion, have a unique obligation to the preservation and application of due process of law and equal protection to all. Least favorite law school subject? Reading, running, anything to do with the beach. Michael C. Greenberg is a Senior Attorney with the Florida Bar, working out of its Ft. Lauderdale office. He is board certified in Appellate Practice and Advocacy, and is a member of the Appellate Rules Committee.